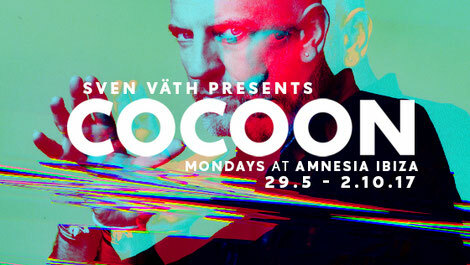 On 29 May Sven Väth will launch the 18th season of Cocoon Ibiza. 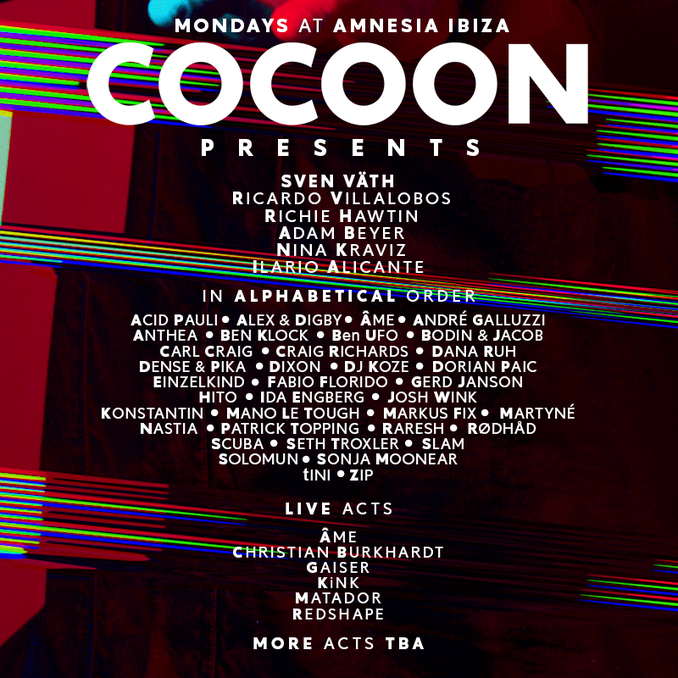 There will be 19 Monday nights with Sven leading the charge, with 14 performances across both rooms. Ricardo Villalobos plays six exclusive shows and Richie Hawtin is back, this time for five exclusive shows. Adam Beyer joins in with seven gigs and Nina Kraviz will play five performances. Ilario Alicante continues his ascent and will play seven shows. Familiar faces and new talents complete the line-up while the Dub Video Connection team will be handling production every Monday night.